Antioxidants, are They Important to our Health? 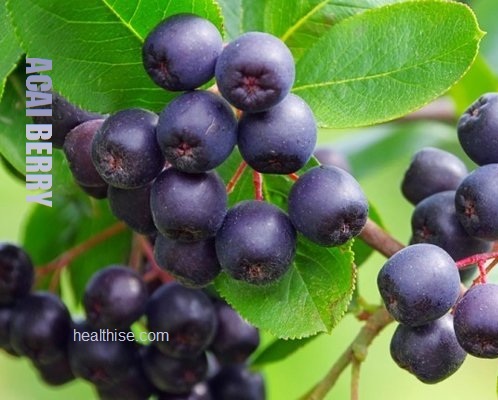 Home /Health Mind Body/Antioxidants, are They Important to our Health? You may be wondering why everyone is talking about antioxidants and why they are so important in your daily diet. With all the different diseases and illnesses in the world today, proper nutrition is put at the forefront of everyone's mind. Nutrition's role is to minimize and prevent disease in the body. Nearly any person who wants to balance his or her metabolism can benefit from the intake of antioxidants. Still, the topic of oxidants and antioxidants is a rather complex one. Yet, let's not take the complicated route today. Instead, why not look at nutrition and oxidation in the way they primarily affect YOUR body? Simply put, on a daily basis, chemical exchanges go on within the body. A small bit of electricity is lost, and some of the participating molecules gradually enter into stages of deterioration. As you can imagine, this is a rather slow process. In fact, it happens so slowly that human beings tend to ignore the effects of oxidation... since it is not a "sickness" and thus, there are virtually no visible symptoms of low antioxidant intake. In fact, chemical breakdown within the body is generally a GOOD thing... that is, provided you can control which part of you receives the benefit. This is where, oxidants and antioxidants require careful study or greater understanding on your part. When you ingest the right nutrients, combine beneficial exercise with complementary eating habits, you are the one who comes out on top in such oxidative exchanges. The human body requires ongoing, daily maintenance and repair of molecules plus the cellular membranes which surround them. Antioxidants help to provide the grounds upon which damaging radicals and helpful electrons can make their most complementary exchange on your behalf. 3) They help to neutralize the chemical stress that your body undergoes. Contemporary people now face additional problems with processed foods and the lack of clean alkaline water. Moreover, countless career minded individuals choose to offset social stress levels with the intake of adrenaline-crashing, so called "high energy" drinks. Such scenarios bring the matter of optimized health face to face with even more complexity. Oxidants and antioxidants warrant clearer comprehension too, because they affect the most basic processes of food digestion and energy production from the foods you choose to eat. For example, with so much concern about obesity and weight loss in year 2012, the choice of antioxidant laden foods can be a step in the right direction for a leaner and sharper body. Nonetheless, in the way of oxidants and antioxidants, at least one major challenge remains. It is this. Although foods like pumpkin, sesame seeds, spinach, nuts, and sweet potatoes can be a great source of antioxidant protection, they provide only minuscule amounts of the helpful chemicals needed for optimum human absorption and conversion. Thus, higher quality antioxidant supplements exist on the market, to help everyday people to take back control of their health and vitality. To make your choice even easier, you can look for supplements which contain ingredients such as alpha lipoic acid, beta-carotene, grape seed or skin, lutein, and tocopherols, along with extra vitamins like C and E.What is known about antioxidants is that they are believed to protect cells, arteries and organs from free radical damage caused by unstable molecules in the body. Although there is no evidence that antioxidant vitamins prolong life they are an essential part of a healthy diet. Antioxidants are found in a variety of healthy foods such as fruits, vegetables, whole grains, nuts and seeds. Many people do not get enough antioxidants from their diet alone and do not consume the recommended 7 to 10 servings of fruits and vegetables a day to obtain sufficient amounts of antioxidant vitamins. Antioxidants include beta-carotene, lycopene, lutein, selenium and vitamins A, C and E. Let us break-down this list to include examples. First, the category of beta-carotene includes such foods as oranges, cantaloupes, mangoes, squash, carrots and sweet potatoes. Next, we have the category of lycopene which includes watermelon, pink grapefruit, tomatoes and tomato-based foods such as soups. The third category called lutein is found in green vegetables such as kale, chard and romaine lettuce. The fourth category of antioxidants is selenium which includes meats and breads. In the vitamin A category we have egg yolks, carrots and sweet potatoes. The vitamin C nutrient is found in citrus fruits, green leaf vegetables and green peppers. And finally, the nutrient vitamin E is found in nuts, wheat germ, corn and safflower oil. That being said, antioxidants play an important role in your nutrition, lifestyle and health. What is important here is that you should only be concerned about finding out the truth. What is usually being overlooked is that your health is enhanced and your energy is enriched by eating the right foods. Your body needs essential nutrients every day, and it is extremely important to understand that food is your ally not your enemy. Branded berry fruit juices are getting more popular with each passing day. This is because the juice is made from the Acai berry, which contains huge amounts of antioxidants. To many health enthusiasts, the antioxidants juices light up their day - to cleanse the system and improve the immune system, which in turn leads to better overall health. Everyone knows that the human body takes in a certain amount of toxins everyday. Sometimes, the amount is so small that we are not even aware of it. When you sit down to ponder over this, you realize that there are many situations when we may be inhaling or consuming harmful toxins unknowing. For example, you may be eating vegetables with pesticide on it. Or you may be addicted to alcohol and cigarettes. Drinking and smoking allows harmful toxins to build up very quickly. Some people may be exposed to harmful toxins that is in the environment. For instance, if you work in a chemical factory, chances are you may be breathing in harmful toxins day in and out without being aware of what is happening. In the short term, there are no visible effects. The human body has its own defenses, and it should be able to deal with small amounts of toxins. However, toxin levels can build up to harmful levels quickly if you are not careful. When that happens, the body fails to respond adequately, and the immune system is weakened. 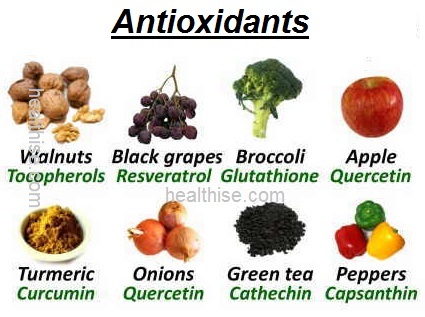 Antioxidants can help cleanse the body and reverse the process. By helping to break down harmful toxins in the body, the body is able to get rid of excess toxins at a faster rate. This allows the body time to heal. Most people know that antioxidants offer many health benefits. So they take health supplements and health foods that are rich in antioxidants, hoping that they will help reduce the chances of being stricken by heart diseases or cancer. What most people don't know is that clinical research has shown that a small dose of antioxidants (about 60mg) daily is enough to strengthen the immune system. However, when large doses are taken (200mg or more) daily, the immune system actually becomes weaker than before! Therefore, for best effects, it is wise to take such health supplements and juices with moderation. Don't over stuff the body with huge amounts of antioxidants just because everyone says it's good for you. 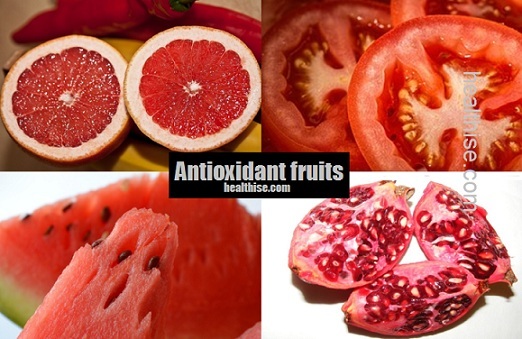 The antioxidants may even become pro-oxidants! Where Does Free Radicals Come From? Can Antioxidants Prevent Cellular Damage? These Thugs Are Attacking You!